You can sign up on the home page. 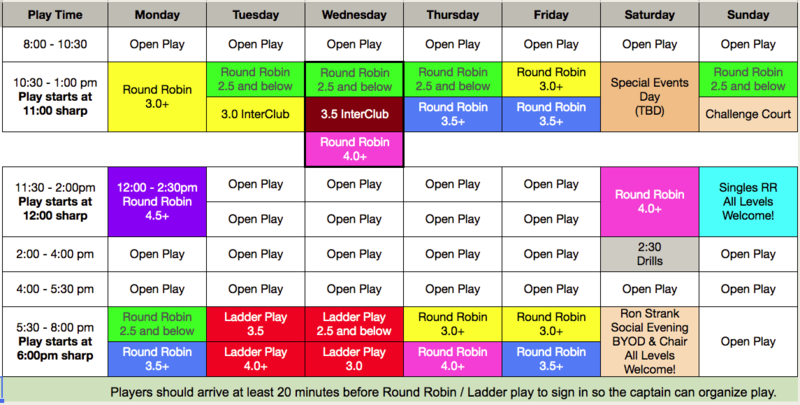 We've added our own time slots & will be hosting play through SignUp Genius Invites. This is for all 3.0 & 3.5 players, local & visiting from other Clubs. PPH members can play even if you do not wish to play at other Clubs. Should you wish to play at EPC Inter-Club contact Glenn Vickers ggvickers@gmail.com.